The Supreme Court of Appeals of West Virginia is currently seeking candidates for the position of Administrative Director. This position is responsible for all administrative aspects of the Court and reports directly to the Supreme Court Justices. Position posting details, applications, and instructions are available at www.courtswv.gov. The time schedule which will be followed on Keller issues is available on the Bar’s website at https://www.mywvbar.org/feeguidelines. If any member has a question concerning this matter, contact Anita Casey at The West Virginia State Bar at 304-553-7228 or by e-mail at caseya@wvbar.org. Click here to view highlights of the proposed revisions. The Court is requesting public comment on proposed amendments to the Rules for Admission to the Practice of Law in West Virginia. Please review the attached order and file comments by August 15, 2018. Click here to view the order. The Lawyer Disciplinary Board is soliciting public comments on the following Legal Ethics Opinion. Comments may be emailed to to ahinerman@wvodc.org. Deadline for submissions: September 20, 2018. Click Here to view the “CONFLICTS IN A PUBLIC DEFENDER’S OFFICE” LEO. A block of hotel rooms has been reserved at Wingate by Wyndham, 350 Conference Center Way in Bridgeport, at a discounted rate ($80) for the event. In order to receive the discounted rate, inform the hotel that you are attending the West Virginia State Bar’s event when making your reservation. The number is 304-808-1000. The code to give to the hotel to get the discounted rate is CGBAR2. Please email Kandi Greter at kandi.greter@courtswv.gov or call 304-340-2755 with any questions. Registration and further information will be announced in the coming months. *You are receiving this email because you have elected to receive the Bar-Blast from the WV State Bar. 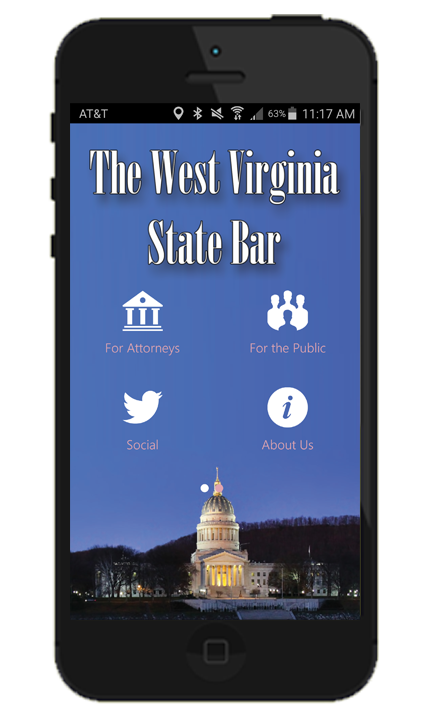 To change you email address or manage your email subscriptions, you must log into the Membership Portal at mywvbar.org. This mailing list is updated weekly. This entry was posted in Bar Blast by . Bookmark the permalink.